For the history of Jews on the territory of the Grand Duchy of Lithuania (modern Belarus and Lithuania) known as Litvak Jews, see Lithuanian Jews. The history of the Jews in Lithuania spans the period from the 8th century to the present day. There is still a small community in that country, as well as an extensive Lithuanian Jewish diaspora in Israel, the United States and other countries. For more detail, see Lithuanian Jews. As early as the 8th century Jews lived in parts of the Lithuanian territory. Beginning with that period they conducted trade between Russia, Lithuania, and the Baltic, especially Jomsborg (Vineta or Wollin, in Pomerania), and other cities on the Vistula, Oder, and Elbe. The origin of the Jews of Lithuania has been the subject of much speculation. It is believed that they were made up of two distinct streams of Jewish immigration. The older and significantly smaller of the two entered the territory that would later become the Grand Duchy of Lithuania from the east. These early immigrants spoke Judeo-Slavic dialects which distinguished them from the later Jewish immigrants who entered the region from the Germanic lands. While the origin of these eastern Jews is not certain, historical evidence places Jewish refugees from Babylonia, Palestine, the Byzantine Empire and other Jewish refugees and settlers in the lands between the Baltic and Black Seas that would become part of the Grand Duchy of Lithuania. The later and much larger stream of immigration originated in the 12th century and received an impetus from the persecution of the German Jews by the Crusaders. The traditional language of the vast majority of Jews of Lithuania, Yiddish, is based largely upon the Medieval German spoken by the western Germanic Jewish immigrants. The peculiar conditions that prevailed in Lithuania compelled the first Jewish settlers to adopt a different mode of life from that followed by their western co-religionists. In the Lithuania of that day there were no cities in the western sense of the word, no Magdeburg Rights or close guilds. With the campaign of Gediminas and his subjugation of Kiev and Volhynia (1320–1321) the Jewish inhabitants of these territories were induced to spread throughout the northern provinces of the Grand Duchy of Lithuania. The probable importance of the southern Jews in the development of Lithuania is indicated by their numerical prominence in Volhynia in the 13th century. According to an annalist who describes the funeral of the grand duke Vladimir Vasilkovich in the city of Vladimir (Volhynia), "the Jews wept at his funeral as at the fall of Jerusalem, or when being led into the Babylonian captivity." This sympathy and the record thereof would seem to indicate that long before the event in question the Jews had enjoyed considerable prosperity and influence, and this gave them a certain standing under the new régime. They took an active part in the development of the new cities under the tolerant rule of Gediminas. Little is known of the fortunes of the Jews of Lithuania during the troubled times that followed the death of Gediminas and the accession of his grandson Vytautas (1341). To the latter, the Jews owed a charter of privileges which was momentous in the subsequent history of the Jews of Lithuania. The documents granting privileges first to the Jews of Brest (July 1, 1388) and later to those of Trakai, Grodno (1389), Lutsk, Vladimir, and other large towns are the earliest documents to recognize the Jews of Lithuania as possessing a distinct organization. The gathering together of the scattered Jewish settlers in sufficient numbers and with enough power to form such an organization and to obtain privileges from their Lithuanian rulers implies the lapse of considerable time. The Jews who dwelt in smaller towns and villages were not in need of such privileges at this time, as Abraham Harkavy suggests, and the mode of life, the comparative poverty, and the ignorance of Jewish learning among the Lithuanian Jews hindered their intercommunal organization. But powerful forces hastened this organization toward the close of the 14th century. The chief of these was probably the cooperation of the Jews of Poland with the Jews of Lithuania. After the death of Casimir III (1370), the condition of the Polish Jews changed for the worse. The influence of the Roman Catholic clergy at the Polish court grew; Louis of Anjou was indifferent to the welfare of his subjects, and his eagerness to convert the Jews to Christianity, together with the increased Jewish immigration from Germany, caused the Polish Jews to become apprehensive for their future. In the name of God, Amen. All deeds of men, when they are not made known by the testimony of witnesses or in writing, pass away and vanish and are forgotten. Therefore, we, Alexander, also called Vytautas, by the grace of God Grand Duke of Lithuania and ruler of Brest, Dorogicz, Lutsk, Vladimir, and other places, make known by this charter to the present and future generations, or to whomever it may concern to know or hear of it, that, after due deliberation with our nobles we have decided to grant to all the Jews living in our domains the rights and liberties mentioned in the following charter. The charter itself was modeled upon similar documents granted by Casimir the Great, and earlier by Boleslaw of Kalisz, to the Jews in Poland in 1264. Under the charter, the Lithuanian Jews formed a class of freemen subject in all criminal cases directly to the jurisdiction of the grand duke and his official representatives, and in petty suits to the jurisdiction of local officials on an equal footing with the lesser nobles (szlachta), boyars, and other free citizens. The official representatives of the Polish king and the grand duke were the voivode (palatine) in Poland and the elder (starosta) in Lithuania, who were known as the "Jewish judges" (judex Judæorum), and their deputies. The Jewish judge decided all cases between Christians and Jews and all criminal suits in which Jews were concerned; in civil suits, however, he acted only on the application of the interested parties. Either party who failed to obey the judge's summons had to pay him a fine. To him also belonged all fines collected from Jews for minor offenses. His duties included the guardianship of the persons, property, and freedom of worship of the Jews. He had no right to summon any one to his court except upon the complaint of an interested party. 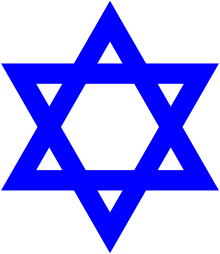 In matters of religion the Jews were given extensive autonomy. Under these equitable laws the Jews of Lithuania reached a degree of prosperity unknown to their Polish and German co-religionists at that time. The communities of Brest, Grodno, Trakai, Lutsk, and Minsk rapidly grew in wealth and influence. Every community had at its head a Jewish elder. These elders represented the communities in all external relations, in securing new privileges, and in the regulation of taxes. Such officials are not, however, referred to by the title "elder" before the end of the 16th century. Up to that time the documents merely state, for instance, that the "Jews of Brest humbly apply," etc. On assuming office the elders declared under oath that they would discharge the duties of the position faithfully, and would relinquish the office at the expiration of the appointed term. The elder acted in conjunction with the rabbi, whose jurisdiction included all Jewish affairs with the exception of judicial cases assigned to the court of the deputy, and by the latter to the king. In religious affairs, however, an appeal from the decision of the rabbi and the elder was permitted only to a council consisting of the chief rabbis of the king's cities. The cantor, sexton, and shochet were subject to the orders of the rabbi and elder. The goodwill and tolerance of Vytautas endeared him to his Jewish subjects, and for a long time traditions concerning his generosity and nobility of character were current among them. His cousin, the king of Poland Jogaila, did not interfere with his administration during Vytautas's lifetime. In 1569, Poland and Lithuania were united (Union of Lublin). It was generally a time of prosperity and relative safety for the Jews of both countries (with the exception of the Chmielnicki Uprising in the 17th century). However, a few events, such as the expulsion of the Jews from the Grand Duchy of Lithuania between 1495 and 1503 occurred just within Lithuania. Casimir was succeeded as king of Poland by his son John Albert, and on the Lithuanian throne by his younger son, Alexander Jagellon. The latter confirmed the charter of privileges granted to the Jews by his predecessors, and even gave them additional rights. His father's Jewish creditors received part of the sums due to them, the rest being withheld under various pretexts. The favorable attitude toward the Jews which had characterized the Lithuanian rulers for generations was unexpectedly and radically changed by a decree promulgated by Alexander in April 1495. By this decree all Jews living in Lithuania proper and the adjacent territories were summarily ordered to leave the country. The expulsion was evidently not accompanied by the usual cruelties; for there was no popular animosity toward the Lithuanian Jews, and the decree was regarded as an act of mere willfulness on the part of an absolute ruler. Some of the nobility, however, approved Alexander's decree, expecting to profit by the departure of their Jewish creditors, as is indicated by numerous lawsuits on the return of the exiles to Lithuania in 1503. It is known from the Hebrew sources that some of the exiles migrated to the Crimea, and that by far the greater number settled in Poland, where, by permission of King John Albert, they established themselves in the towns situated near the Lithuanian boundary. This permission, given at first for a period of two years, was extended "because of the extreme poverty of the Jews on account of the great losses sustained by them." The extension, which applied to all the towns of the kingdom, accorded the enjoyment of all the liberties that had been granted to their Polish brethren (Kraków, June 29, 1498). The expelled Karaites settled in the Polish town of Ratno, now known as Ratne, Ukraine . The causes of the unexpected expulsion were probably many, including religious reasons, the need to fill a depleted treasury by confiscating the Jews' money, personal animosity, and other causes. Soon after Alexander's accession to the throne of Poland he permitted the Jewish exiles to return to Lithuania. Beginning in March 1503, as is shown by documents still extant, their houses, lands, synagogues, and cemeteries were returned to them, and permission was granted them to collect their old debts. The new charter of privileges permitted them to live throughout Lithuania as before. The return of the Jews and their attempt to regain their old possessions led to many difficulties and lawsuits. Alexander found it necessary to issue an additional decree (April 1503), directing his vice-regent to enforce the law. In spite of this some of the property was not recovered by the Jews for years. At the same time, the middle of the 16th century witnessed a growing antagonism between the lesser nobility and the Jews. Their relations became strained, and the enmity of the Christians began to disturb the life of the Lithuanian Jews. The anti-Jewish feeling, due at first to economic causes engendered by competition, was fostered by the clergy, who were then engaged in a crusade against heretics, notably the Lutherans, Calvinists, and Jews. The Reformation, which had spread from Germany, tended to weaken the allegiance to the Roman Catholic Church. Frequent instances occurred of the marriage of Catholic women to Jews, Turks, or Tatars. The Bishop of Vilna (Vilnius) complained to Sigismund August (Dec., 1548) of the frequency of such mixed marriages and of the education of the offspring in their fathers' faiths. The shlyakhta also saw in the Jews dangerous competitors in commercial and financial undertakings. In their dealings with the agricultural classes the lords preferred the Jews as middlemen, thus creating a feeling of injury on the part of the shlyakhta. The exemption of the Jews from military service and the power and wealth of the Jewish tax-farmers intensified the resentment of the shlyakhta. Members of the nobility, like Borzobogaty, Zagorovski, and others, attempted to compete with the Jews as leaseholders of customs revenues, but were never successful. Since the Jews lived in the towns and on the lands of the king, the nobility could not wield any authority over them nor derive profit from them. They had not even the right to settle Jews on their estates without the permission of the king; but, on the other hand, they were often annoyed by the erection on their estates of the tollhouses of the Jewish tax-collectors. Hence when the favorable moment arrived, the Lithuanian nobility endeavored to secure greater power over the Jews. At the Diet of Vilna in 1551 the nobility urged the imposition of a special polltax of one ducat per head, and the Volhynian nobles demanded that the Jewish tax-collectors be forbidden to erect tollhouses or place guards at the taverns on their estates. "The Jews shall not wear costly clothing, nor gold chains, nor shall their wives wear gold or silver ornaments. The Jews shall not have silver mountings on their sabers and daggers; they shall be distinguished by characteristic clothes; they shall wear yellow caps, and their wives kerchiefs of yellow linen, in order that all may be enabled to distinguish Jews from Christians." Other restrictions of a similar nature are contained in the same paragraph. However, the king checked the desire of the nobility to modify essentially the old charters of the Jews. The fury of this uprising destroyed the organization of the Lithuanian Jewish communities. The survivors who returned to their old homes in the latter half of the 17th century were practically destitute. The wars which raged constantly in the Lithuanian territory brought ruin to the entire country and deprived the Jews of the opportunity to earn more than a bare livelihood. The intensity of their struggle for existence left them no time to reestablish the conditions which had existed up to 1648. John Casimir (1648–1668) sought to ameliorate their condition by granting various concessions to the Jewish communities of Lithuania. Attempts to return to the old order in the communal organization were not wanting, as is evident from contemporary documents. Thus in 1672, Jewish elders from various towns and villages in the grand duchy of Lithuania secured a charter from King Michael Wiśniowiecki (1669–1673), decreeing "that on account of the increasing number of Jews guilty of offenses against the Shlyakhta and other Christians, which result in the enmity of the Christians toward the Jews, and because of the inability of the Jewish elders to punish such offenders, who are protected by the lords, the king permits the kahals to summon the criminals before the Jewish courts for punishment and exclusion from the community when necessary." The efforts to resurrect the old power of the kahals were not successful. The impoverished Jewish merchants, having no capital of their own, were compelled to borrow money from the nobility, from churches, congregations, monasteries, and various religious orders. Loans from the latter were usually for an unlimited period and were secured by mortgages on the real estate of the kahal. The kahals thus became hopelessly indebted to the clergy and the nobility. The founding of the yeshivot in Lithuania was due to the Lithuanian-Polish Jews who studied in the west, and to the German Jews who migrated about that time to Lithuania and Poland. Very little is known of these early yeshivot. No mention is made of them or of prominent Lithuanian rabbis in Jewish writings until the 16th century. The first known rabbinical authority and head of a yeshivah was Isaac Bezaleel of Vladimir, Volhynia, who was already an old man when Solomon Luria went to Ostroh in the fourth decade of the 16th century. Another rabbinical authority, Kalman Haberkaster, rabbi of Ostrog and predecessor of Luria, died in 1559. Occasional references to the yeshivah of Brest are found in the writings of the contemporary rabbis Solomon Luria (died 1585), Moses Isserles (died 1572), and David Gans (died 1589), who speak of its activity. Of the yeshivot of Ostrog and Vladimir in Volhynia it is known that they were in a flourishing condition at the middle of the 16th century, and that their heads vied with one another in Talmudic scholarship. Mention is also made by Gans of the head of the Kremenetz yeshivah, Isaac Cohen (died 1573), of whom but little is known otherwise. At the time of the Lublin Union, Solomon Luria was rabbi of Ostrog, and was regarded as one of the greatest Talmudic authorities in Poland and Lithuania. In 1568 King Sigismund ordered that the suits between Isaac Borodavka and Mendel Isakovich, who were partners in the farming of certain customs taxes in Lithuania, be carried for decision to Rabbi Solomon Luria and two auxiliary rabbis from Pinsk and Tiktin. The far-reaching authority of the leading rabbis of Poland and Lithuania, and their wide knowledge of practical life, are apparent from numerous decisions cited in the responsa. They were always the champions of justice and morality. In the Eitan ha-Ezrachi (Ostrog, 1796) of Abraham Rapoport (known also as Abraham Schrenzel; died 1650), Rabbi Meïr Sack is cited as follows: "I emphatically protest against the custom of our communal leaders of purchasing the freedom of Jewish criminals. Such a policy encourages crime among our people. I am especially troubled by the fact that, thanks to the clergy, such criminals may escape punishment by adopting Christianity. Mistaken piety impels our leaders to bribe the officials, in order to prevent such conversions. We should endeavor to deprive criminals of opportunities to escape justice." The same sentiment was expressed in the 16th century by Maharam Lublin (Responsa, § 138). Another instance, cited by Katz from the same responsa, likewise shows that Jewish criminals invoked the aid of priests against the authority of Jewish courts by promising to become converts to Christianity. The decisions of the Polish-Lithuanian rabbis are frequently marked by breadth of view also, as is instanced by a decision of Joel Sirkes (Bayis Hadash, § 127) to the effect that Jews may employ in their religious services the melodies used in Christian churches, "since music is neither Jewish nor Christian, and is governed by universal laws." Decisions by Luria, Meïr Katz, and Mordecai Jaffe show that the rabbis were acquainted with the Russian language and its philology. Jaffe, for instance, in a divorce case where the spelling of the woman's name as Lupka or Lubka was in question, decided that the word is correctly spelled with a "b," and not with a "p," since the origin of the name was the Russian verb lubit = "to love," and not lupit = "to beat" (Levush ha-Butz we-Argaman, § 129). Meïr Katz (Geburat Anashim, § 1) explains that the name of Brest-Litovsk is written in divorce cases "Brest" and not "Brisk," "because the majority of the Lithuanian Jews use the Russian language." It is not so with Brisk, in the district of Kujawa, the name of that town being always spelled "Brisk." Katz (a German) at the conclusion of his responsum expresses the hope that when Lithuania shall have become more enlightened, the people will speak one language only—German—and that also Brest-Litovsk will be written "Brisk." The responsa shed an interesting light also on the life of the Lithuanian Jews and on their relations to their Christian neighbors. Benjamin Aaron Solnik states in his Mas'at Binyamin (end of 16th and beginning of 17th century) that "the Christians borrow clothes and jewelry from the Jews when they go to church." Sirkes (l.c. § 79) relates that a Christian woman came to the rabbi and expressed her regret at having been unable to save the Jew Shlioma from drowning. A number of Christians had looked on indifferently while the drowning Jew was struggling in the water. They were upbraided and beaten severely by the priest, who appeared a few minutes later, for having failed to rescue the Jew. Luria gives an account (Responsa, § 20) of a quarrel that occurred in a Lithuanian community concerning a cantor whom some of the members wished to dismiss. The synagogue was closed in order to prevent him from exercising his functions, and religious services were thus discontinued for several days. The matter was thereupon carried to the local lord, who ordered the reopening of the building, saying that the house of God might not be closed, and that the cantor's claims should be decided by the learned rabbis of Lithuania. Joseph Katz mentions (She'erit Yosef, § 70) a Jewish community which was forbidden by the local authorities to kill cattle and to sell meat—an occupation which provided a livelihood for a large portion of the Lithuanian Jews. For the period of a year following this prohibition the Jewish community was on several occasions assessed at the rate of three gulden per head of cattle in order to furnish funds with which to induce the officials to grant a hearing of the case. The Jews finally reached an agreement with the town magistrates under which they were to pay forty gulden annually for the right to slaughter cattle. According to Hillel ben Herz (Bet Hillel, Yoreh De'ah, § 157), Naphtali says the Jews of Vilna had been compelled to uncover when taking an oath in court, but later purchased from the tribunal the privilege to swear with covered head, a practise subsequently made unnecessary by a decision of one of their rabbis to the effect that an oath might be taken with uncovered head. The influence in communal life of prominent rabbinical scholars, such as Jaffe, Isserles, Luria, and Lublin, proved but a slight check to the growing misrule of the kahals. The individuality of the Lithuanian Jew was lost in the kahal, whose advantages were thus largely counterbalanced by the suppression of personal liberty. The tyranny of the kahal administration and the external oppression drove the great mass of the Lithuanian Jewry to seek consolation in the dry formalism of Talmudic precepts. The Talmud and its endless commentaries became the sole source of information and instruction. Every Jew was compelled by the communal elders to train his children in Talmudic lore. The Halakha offered a solution for every question in Jewish life, while the poetry of the Haggadah supplied alleviation for sorrow and hope for the future. Reformers arising among the Lithuanian Jews were forced by the kahal elders either to leave the community or to bend to the will of the administration. All was sacrificed to the inviolability of customs sanctioned by tradition or by the letter of the Law. The ties of friendship and family relationship were subordinated to the interests of the community. Hence it is little to be wondered at that the Kabbalah found fertile soil in Lithuania. The marked indications of approaching political anarchy were the chief causes of the organization of the Lithuanian Council. Religious observances owe greatly to Elijah ben Solomon (1720–1797), the Vilna Gaon, who lived in Lithuania's greatest city, Vilnius. His style of Torah and Talmud study shaped the analytical "Lithuanian-style" form of learning still practiced in most yeshivas. The yeshiva movement itself is a typical Lithuanian development, initiated by the Vilna Gaon's main disciple, Rabbi Chaim Volozhin. The Misnagdim were the early opponents of Hasidic Judaism, led by the Vilna Gaon who sharply denounced the innovations by the Hasidim. In 1795 the final Third Partition ended the existence of the Polish-Lithuanian Commonwealth, and the former lands of the Grand Duchy of Lithuania became part of the Russian partition. By the end of the 19th century, many of Lithuania's Jews were part of the general flight of Jews from Eastern Europe to the New World due to conflicts and pogroms engulfing the Russian Empire and the anti-Semitism of the Russian czars. Millions of Jews, including tens of thousands of Lithuanian Jews, emigrated to the United States of America. Many Lithuanian Jews emigrated to South Africa, which became famous as a haven for its 120,000 Jews who were spared the Holocaust. A small number also emigrated to the British Mandate of Palestine. Lithuanian Jews took active part in Freedom wars of Lithuania. Then on December 29, 1918, Lithuania's government called for volunteers to defend the Lithuanian state; from 10,000 volunteers there were more than 500 Jews. Altogether more than 3000 Jews served in the Lithuanian army between 1918 and 1923. Initially, the Jewish community was given a wide amount of autonomy in education and taxation through community councils, or kehillot. By 1934, in a nationalist trend that reflected throughout Europe, the government scaled back much of this autonomy, and cases of anti-semitism increased. During the Soviet annexation and occupation, some Jewish communists assumed significant roles in the NKVD and local communist nomenklatura. Other Jews, particularly religious Jews and Zionists, were treated harshly by the Soviet-imposed communist government in Lithuania prior to the German invasion. Some Lithuanians blamed Jews for the communist regime, and participated in the mass murder of Lithuanian Jews during the Holocaust. The Lithuanian Republic was occupied by Soviet Union in June 1940, and one year later, in June 1941, occupied by the Germans. During World War II, 91-95% of Lithuania's Jewish population of Lithuanian Jews were killed – almost all the Jews who had not managed to leave Lithuania and its environs. This was the highest casualty rate of Jews in any nation in the Holocaust. The Choral Synagogue of Vilna, the only synagogue in the city to survive the Nazi holocaust and post-war Soviet oppression. The only European yeshiva to survive the Holocaust was the Mir yeshiva. With help of the Japanese consul in Kaunas, Chiune Sugihara, its leaders and students managed to escape to the Shanghai ghetto. Following the expulsion of Nazi German forces in 1944, The Soviets reannexed Lithuania as a Soviet republic, and prosecuted a number of Lithuanians for collaborating with the Nazis. Sites of wartime massacres, such as the Ninth Fort near Kaunas became monuments. To avoid nationalist themes, the memorials were declared in the name of all victims, though the clear majority of them are Jewish. Most survivors never returned, moving to Israel instead. Throughout Soviet rule, there was tension between the Jewish community and the authorities over the right to emigrate to Israel, and how to properly commemorate the Holocaust. The majority of Jews in Soviet Lithuania arrived after the war, with Russian and Yiddish as their primary language. ↑ "Rodiklių duomenų bazė". Db1.stat.gov.lt. Retrieved 2013-04-16. ↑ "YIVO | Lithuania". Yivoencyclopedia.org. Retrieved 2013-04-16. ↑ "Приложение Демоскопа Weekly". Demoscope.ru. 2013-01-15. Retrieved 2013-04-14. ↑ "Rodiklių duomenų bazė". Db1.stat.gov.lt. Retrieved 2013-04-14. This article incorporates text from a publication now in the public domain: Singer, Isidore; et al., eds. (1901–1906). "Lithuania". Jewish Encyclopedia. New York: Funk & Wagnalls Company.